Are you frustrated about your tenants or clients not paying their rent or utility payments on time, late, or not at all? Is the law protecting you or being fair or even interested in your problem? Do you feel let down by the system with little or no recourse to the courts? Do you believe that it is all about tenants’/citizens’ rights and that the landlord has few or none? 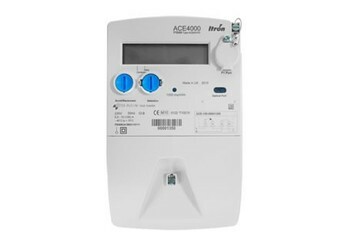 Luic is a communication module which is integrated into our 247 Computerized Utility Management System that has been designed to act as a trigger to remotely activate and/or de-activate a prepaid private or public metering device such as Conlog or any other commercial device or Government-supplied meter currently on the market in South Africa. It is highly recommended as a payment-enforcement tool. 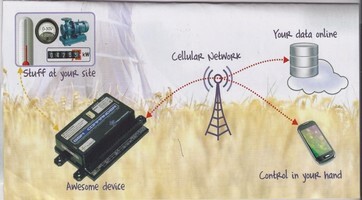 This unique SMS communication system can send a trigger via a cell phone to the tenant’s metering device which is fitted with a SIM card to either disengage the meter to discontinue power usage or restrict water usage, or both; conversely, to re-engage either or both utilities to resume supply to the tenant’s premises. This innovative intervention is particularly effective in the event that a tenant has not paid his or her rent or utilities bill that is due to the PLO in terms of the lease or contract signed. Instead of the PLO sending a service provider or staff member to disconnect or reconnect the meters, which could result in the PLO incurring additional loss of revenue and even representing physical danger to the service providers’ staff, the utilities can be rendered inoperative remotely until all outstanding or arrears payments are made by the tenant to the PLO or their agent. The saving of time and vehicle expenses is also an enormously positive contributing factor when considering the implementation of this service. Fraud, corruption and bribe-taking will be drastically curtailed. The inventor of this communication module is himself a PLO, and has had untold complications and unpleasantness in attempting to persuade his tenants to comply with the conditions of their lease. It has become apparent that the law definitely favours the tenant, who is in the vast majority of cases always identified as the victim. From a legal point of view, the disconnection of utilities is deemed to be unlawful, but this is in the case of the disconnection of the Municipality’s service providers’ equipment, i.e. City Power or the Rand water Board (Gauteng) in terms of their being a director supplier. In the case of Public Sector providers or private metering devices using LUIC, it would not be the PLO who would be disengaging the meter so the PLO could not be held liable. The PLO, whether in the Private Sector or the Public Sector, enters into a service level agreement/contract with the supplier of the meter (247 Technologies) as the Service Provider. 247 can supply a number of private meters in cases where the PLO has one main meter to service many tenants. Should a particular tenant not pay his/her outstanding or arrears amounts due to the PLO, the contract between the PLO and tenant becomes broken in terms of a clause in their lease or contract. Automatically the contract between 247 and the PLO is also broken and 247, on receiving a SMS from the PLO will send a notice of intent to the PLO to have the meter concerned disabled. 247 thereafter disable the utility remotely. Once the tenant has paid the PLO the arrears plus a reconnection fee, a sms is sent to the 247 call centre by the PLO with a receipt number and the service is restored to the tenant by 247 reactivating the device within seconds. Arrangement for disabling and enabling outside normal working hours can be discussed between the PLO and 247. The PLO purchases the metering devices from 247 which is installed by 247 at a set fee at the premises of the tenant as required with an official order number issued to 247 by the PLO. This fee includes payment for a SIM card which is recorded by 247 on its database together with the serial number of the metering device. The PLO may need many individual private meters where a large building or where many tenants are concerned. The PLO enters into a contract with 247 at a nominal rate of R50 per month per meter installed whereby in the event of the meter being required to be rendered inoperable, the PLO sends an SMS to a relevant 247 call centre number indicating the address where the unit has to be rendered inoperable and quoting the serial number or contract as the reference number. A clause in the contract between the PLO and the tenant states that in the event of the tenant not paying their rent or utilities in terms of their lease with the PLO the tenant will be liable for a reconnection fee of X rand (stipulated by the PLO and agreed to by the tenant in terms of their lease) once all arrears are brought up to date. An invoice in the amount of whatever amount the PLO deems fit as a reconnection fee in the contract and acceptable to 247 is then automatically generated by 247 and sent to the PLO. 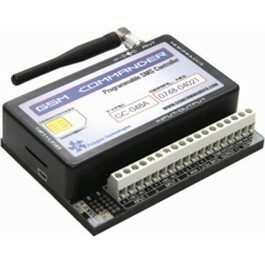 247 will then render the unit inoperable within a few seconds of logging the call. Only on receipt of a reconnection payment from the tenant to the PLO against that invoice from247, plus an SMS requesting the reconnection, will the re-activation be generated by 247. The PLO will have thus received payment due from the tenant for the reconnection fee and all arrears outstanding and the contract between the PLO and 247 will have been restored to its original legal state of performance. When the utilities are disconnected, the tenant calls the PLO or the agent of the PLO. The tenant is informed that unfortunately, due to late, short or no payment for rent or utilities in terms of the lease agreement, there is not money available for the PLO to pay the service provider 247 for their monthly maintenance contract in respect of the meters and thus the PLO has defaulted and is now in breach. In the case of a private contractor the tenant contacts the Municipality who says nothing has been disconnected from their side. The water utility call centre says the same thing. Both utility providers suggest the tenant refer to their PLO to sort out the problem. The private meters will be installed on the tenant’s side of the Municipal Meter to ensure legality. The tenant proceeds to a lawyer who calls the PLO. They apologise and suggest the lawyer call 247 who refers them back to the PLO as the PLO have not defaulted on their monthly contract fees to 247 and thus are in breach in terms of the contract. The PLO must first bring their payments up to date. The lawyer asks whether the tenant can do this and 247 says in terms of the legal contract between 247 and the PLO only the PLO can remedy the situation by first accepting payment due from the tenant and then making good their side of the service contract with 247 as the service provider. The lawyer then explains this to the tenant and charges the tenant for his time and effort. The tenant then also pays his/her arrears and reconnection fees in terms of their lease with the PLO and the PLO contacts the 247 Call Centre whereupon service/s are restored. It is extremely unlikely that the tenant will then fall behind again. Should the tenant subsequently damage the metering device or tamper with it in any way they may be liable for prosecution (Malicious Injury to Property) and/or the unit will be replaced by the PLO using the tenant’s deposit held in terms of the lease or contract signed and in force between the PLO and the tenant. The ways in which the world generates and distributes power are changing fast. To help our customers adapt to the electrical industry’s changing business climate, 247 Technologies have developed a host of next-generation intelligent metering, system and service solutions to optimize revenue generation, resource management, tenant arrears collection and customer engagement. The more than R5 billion owed by EThekwini Municipality to Eskom is as a result of non –payment by consumers of electricity as well as outstanding arrears in respect of Municipal rates and rentals and the 247 Technologies Landlord Utilities Interruption Communicator (LUIC) project can go a long way to redress this unacceptable issue. Meter reading and PLO collecting arrears payments from tenants doesn’t have to be a time- and labour-intensive manual process. With 247’s automatic meter (LUIC) solution, you can streamline the meter reading process, improve operational efficiency, reduce costs and eliminate arrears payments by tenants. 247’s LUIC solution lets you have the technology you need based on budget and service territory. Because all 247 electricity, gas and water communication modules share the same platform, handheld or mobile collection systems can be deployed independently or in a hybrid environment, giving you the ultimate in flexibility and choice. That same platform also lets you migrate to a full-featured advanced metering infrastructure(LUIC) system, offering you even more value and operational advantages as your needs evolve. Energy data drives your business and with the emergence of smart metering and the smart grid, deploying a robust meter data management (LUIC) solution is essential to your success. While collecting meter data can be efficient and automatic, putting that data in the hands of people who can leverage its value—across the entire enterprise— is often difficult and error-prone. 247’s LUIC solution is a highly-scalable enterprise application that centralizes the collection, processing, storage and complex analysis of meter and other utility-related data. Offering reliable processes and interfaces, regardless of the meter data’s source or destination, our LUIC solution provides a simplified management environment and significantly reduces the likelihood of errors when utilizing meter data. It also allows you to easily change how and when data is collected, as well as deploy the most cost-effective meter reading technologies without affecting your IT infrastructure. The tenant arrears collection process cannot be underestimated and is an integral part of this solution. 247’s LUIC solution provides consistent, meaningful data to upstream utility applications and is a critical component to any smart metering or smart grid initiative—especially when implemented prior to a large-scale residential rollout. By simplifying IT integration of LUIC data capture and facilitating the distribution of meter data across the utility, you can rest easy knowing that your data is in the hands of those who need it most, when they need it. 247 Technologies would like to suggest that a pilot project be awarded to it by the EThekwini Municipality in the first instance to evaluate the advantages and benefits of the product. Different options and variations of the product can be tested to meet the needs of the Municipality.